It consists of a cable Royal Blue adjustable accompanied by a dancer glittery dark blue enhanced with 2 SWAROVSKI disco beads that sparkle brilliantly, 4 pearls. 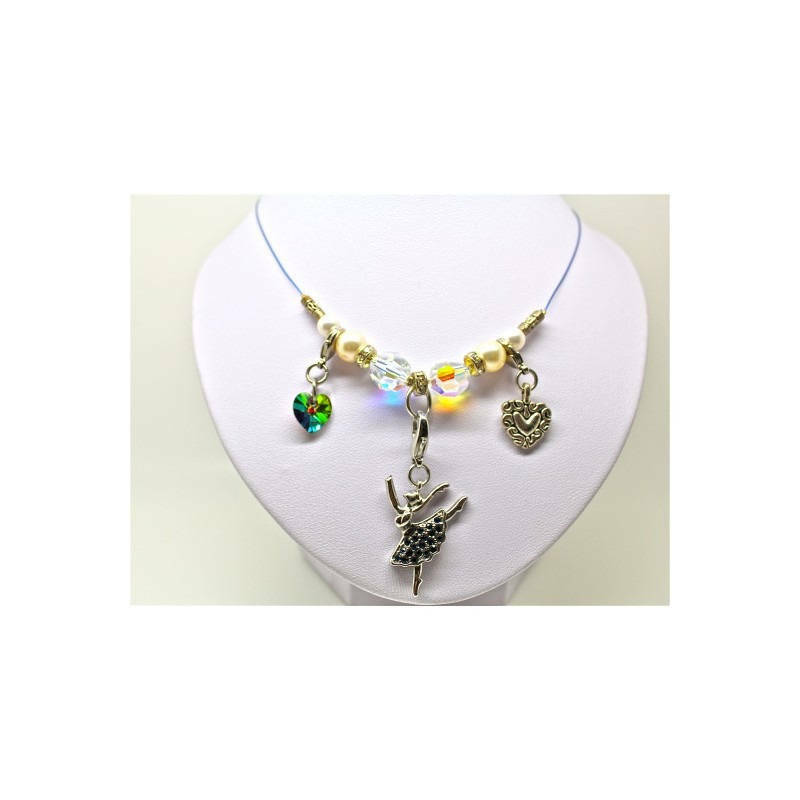 It has charm a pretty little stained glass SWAROVSKI heart and a finely engraved antique silver heart. This necklace is light and airy design gives any outfit and style and very elegant look. This is an ideal gift for all occasions, it will be appreciated and will last long, given its quality. Royal Blue galvanized cable 20 cm with 4 white SWAROVSKI pearls + 2 SWAROVSKI disco beads faceted translucent.